It is not known what Veiel was working on, if anything, during his time in Mexico, but his first (and apparently only) novel was published two years later, in 1954, in the U.K. as Intrigue (London: H. Hamilton), and in the U.S. as Hearts and Heads (Boston, U.S.: Little, Brown and Company). Michael Hargraves says that at the time of its publication Veiel was living in Connecticut, having settled there after some extensive traveling. “A. 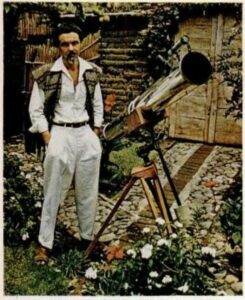 Christopher Veiel” (it is unclear what name the initial A stood for) was born in Switzerland and educated at Chillon College and the University of Geneva. He became a teacher of French, German and Latin and retained his Swiss passport after moving to the U.S. in about 1949 to work at Choate School in Wallingford, Connecticut. Choate alumni, according to Wikipedia, include President John F. Kennedy, Adlai Stevenson, playwright Edward Albee, novelist John Dos Passos, investor Brett Icahn, philanthropist Paul Mellon, screenwriter Geoffrey Fletcher, actors Glenn Close, Michael Douglas, Jamie Lee Curtis, Bruce Dern, Paul Giamatti, and businesswoman Ivanka Trump, daughter of President Donald Trump. Note: This is an updated version of a post first published on 7 July 2014. Michael Hargraves. 1992. Lake Chapala: A Literary Survey (Los Angeles: Michael Hargraves). New York Times, 24 July 1955, 89. 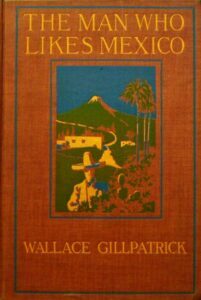 Owen Wallace Gillpatrick (1862-1925) was an American author and playwright who spent a short time in the Chapala area in about 1899, several years prior to publishing his book The Man who likes Mexico (1911). The book includes an atmospheric photo of moonlight shining on Lake Chapala. Reared in California, where the romance of early Mexican days still lingers, and where the prodigality of nature and of life are in keeping with Mexican tradition, I ardently dreamed of this Spanish American southland”. He was a spontaneous and adventurous traveler. Unlike many of his contemporaries, Gillpatrick positively preferred the areas away from the railroads. He stayed for a month in Guadalajara, before continuing on to Chapala. Gillpatrick’s enthusiasm for Mexico never waned. 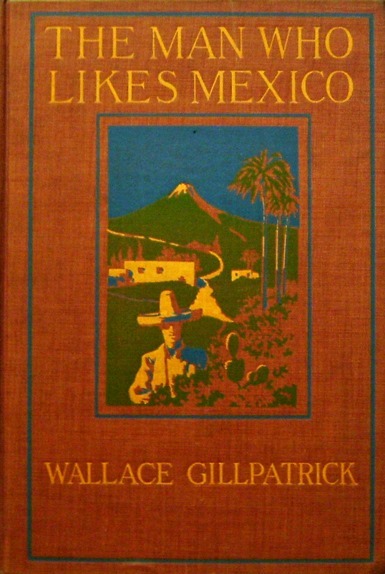 He closed his book by writing that, “Two ties united my heart to Mexico—first, love of friends; last and always, her mountains”. His recollections of Chapala include a description of the Hotel Arzapalo, Chapala’s first major hotel, designed by local architect Guillermo de Alba for Ignacio Arzapalo Palacios, a Spaniard who had come to Chapala seeking the curative properties of Chapala’s thermal waters and then fallen in love with its natural beauty and favorable climate. The hotel had opened in 1898. That the manager of the Hotel Arzapalo was a man of taste, I knew when I saw the hotel, with its clambering rose-vines, its well-kept gardens and the little pier running out into the lake, with comfortable benches at either side. When he assigned me to a room, with a view of mountain and lake combined, I was doubly sure. The memories of my ride, together with a bountiful dinner, made me content to loaf the rest of the afternoon; but towards evening I started in search of the warm mineral baths, for which the place is noted. A gentleman who knows Chapala, had said to me, “Don’t go to the fine-looking bath-house with the ‘Baño’ sign; follow the same street till you come to some old buildings and then ask for the tanque.” So I walked by the fine-looking baños and in an old orange orchard, I found the great swimming tank. It must be sixty feet long by twenty wide, and the bottom slopes so that at one end it is over a man’s head. It is surrounded by a high wall and the palms and orange trees grow close up to it. The water is a trifle more than blood-warm, so that you feel an almost imperceptible accession of warmth in stepping into it. It is the kind of a bath that you leave reluctantly and then feel tempted to return to. Gillpatrick’s prose was very popular in his native country during his lifetime. He was a fluent Spanish speaker, and his translation “with much taste and skill” of Catalan writer Àngel Guimerà’s play Marta of the Lowlands, was performed on Broadway in 1903. He also translated Guimerà’s La Pecadora (Putnam, 1917). This post is based on the biography that appears in my Lake Chapala Through the Ages: an anthology of travellers’ tales (2008). 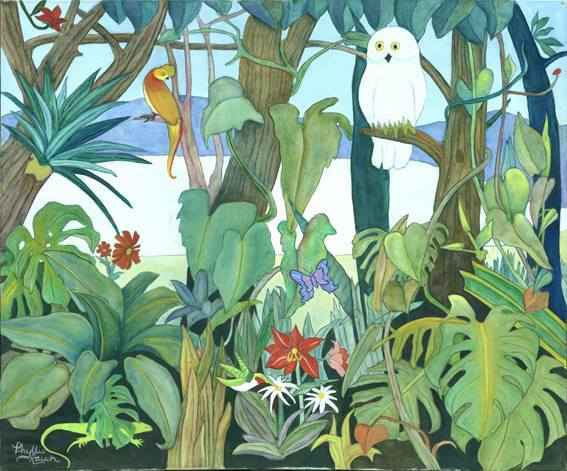 Phyllis (Porter) Rauch, born 28 October 1938, is an American artist, writer and translator who has lived in Jocotepec for more than thirty years. Her husband was the internationally-acclaimed artist Georg Rauch (1924-2006). The couple lived in Guadalajara from 1967 to 1970, before moving to Laguna Beach, California for six years. 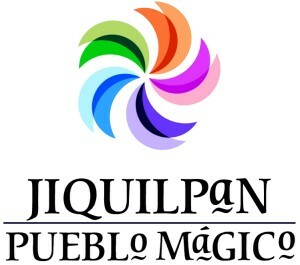 They returned to Mexico in 1976 and established their permanent home in Jocotepec. Phyllis Rauch. “Chayito”. Photo reproduced courtesy of the artist. 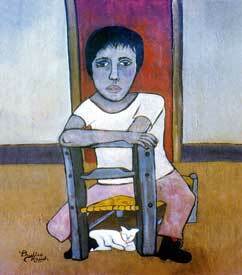 Phyllis Rauch: Pablito. Reproduced courtesy of the artist. Phyllis Rauch. Rousseau-inspired jungle scene. Photo reproduced courtesy of the artist. Her best-known translation is that of her husband’s wartime memoirs, which were first published, as The Jew with the Iron Cross: A Record of Survival in WWII Russia, only a few months before his death. The self-published book was reissued in February 2015 by mainstream publisher Farrar Straus Giroux, in hardback and audio versions, with the new title of Unlikely Warrior: A Jewish Soldier in Hitler’s Army. Somewhat late in life, and encouraged by her husband, Phyllis began to paint. Her charming, somewhat naif paintings of rural scenes and Mexican life have received deserved acclaim for their universal appeal. Phyllis Rauch. 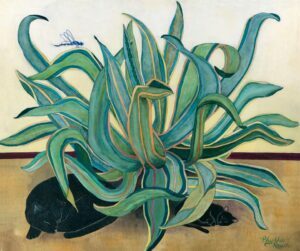 Cat, kitten and maguey. Photo reproduced courtesy of the artist. The Rauchs opened their home and studios, on a one-acre property overlooking Lake Chapala on the outskirts of Jocotepec, as the Los Dos Bed & Breakfast Villas in the 1990s. Phyllis continues to welcome visitors there today, especially those with an interest in her husband’s art. John Elbert Upton was born on 10 September 1917 and died aged 88, in Monterey, California, on 9 October 2005. He was a multi-talented individual who earned his living as a translator and teacher. Upton lived in Ajijic for over a decade, from 1949 to 1959, and then returned to live in the village several times (for varying lengths of time) in the 1960s through to the early 1990s. Upton’s circle of friends in the Lake Chapala area included fellow translator Lysander Kemp, who lived in Jocotepec, and poet and literary figure Witter Bynner, who had a home in Chapala. Upton majored in music and Spanish at college, becoming an extremely proficient classical guitarist. In 1966, he gained a Masters in Spanish Language and Literature from the University of Madrid in Spain. Upton wrote a short piece, “Maya Today” (a linguistic study of the Mayan language Yucateco in Yucatán), published in the December 1962 issue of The Modern Language Journal, but was far better known as a Spanish-English translator. Upton’s fine translations introduced generations of English-speaking readers to the extraordinary diversity and creativity of Spanish-language literature. Pueblo en vilo: Microhistoria de San José de Gracia (“San José de Gracía, Mexican Village in Transition”), by Luis González (University of Texas, Austin, 1974). 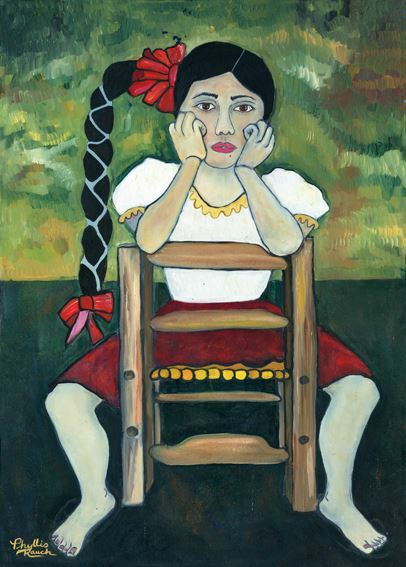 La feria (“The Fair”), by Juan José Arreola (University of Texas, Austin, 1977). This work is chock-full of local idioms, curses, etc., and, as Upton says in his translator’s note, “There are passages in “The Fair” that can confound even a well-informed Mexican”. In the early 1990s, he worked as staff translator for the Metropolitan Museum of Art and for Latin American Art magazine. 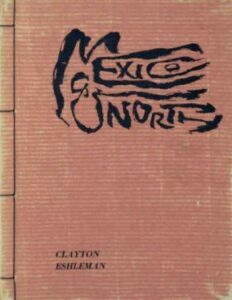 Selections of Upton’s translations were included in the book Mexico: Splendors of Thirty Centuries, with an Introduction by Octavio Paz (New York: The Metropolitan Museum of Art, 1990), and he translated some essays and catalog entries for The Metropolitan Museum of Art’s Al-Andalus: The Art of Islamic Spain (1992). In 2004 he was a finalist in the Barnstone Translators’ Competition. 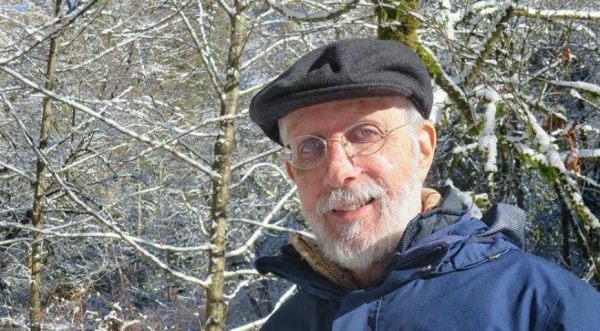 John Upton may have been only one of the many extraordinarily gifted individuals who have shaped the long artistic and literary history of Lake Chapala, but he will long be remembered for the supreme quality of his translations, whether of poems, literature or non-fiction. Lysander Kemp (1920-1992) worked as a writer, professor, translator, and was head editor of the University of Texas Press from 1966 to 1975. During his tenure at UT Press, he collaborated with the Mexican writer Octavio Paz (1914-1998) on numerous translations, including the landmark book The Labyrinth of Solitude: Life and Thought in Mexico. Kemp also oversaw the publication of two collections of Paz’s essays and criticism, and translated the work of several other important Mexican writers such as Juan Rulfo. Lysander Schaffer Kemp Jr. was born 13 November 1920 in Randolph, Vermont, and died in January 1992 in Harwich Port, Massachusetts. He graduated from Canton High School, Canton, Massachusetts in 1938, where he had been active in tennis, music, and on the stage, in addition to being literary editor of the school magazine The Echo. He graduated from Bates College, Maine, in 1942 (where he was “class poet” in his final year) and then enlisted in the Army. He served three years in the Caribbean Defense Command, in Panama, Ecuador and Puerto Rico, from 1942-1945. After his discharge, more than 40 poems he had submitted in partial fulfillment of his M.A. 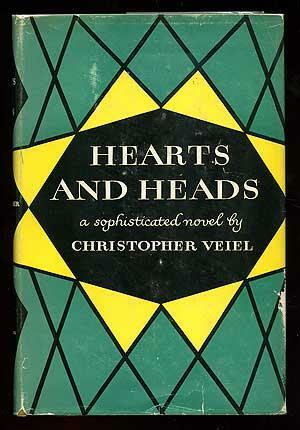 (1946) from Boston University were published as The Northern Stranger (Random House, 77 pp). His academic English teaching career included a spell at the University of Buffalo, and publications such as “Understanding “Hamlet”” in College English (Oct., 1951). 1954. “The only beast: Reflections on Not Attending the Bullfights”, pp 46-56 of Discovery #4 (New York). 1955. “Gods: Jocotepec, Mexico” [poem] The New Yorker. Vol 31 (Sept 10, 1955) p 114. 1957. “The Penguins Gather.” Saturday Review v 40 (May 11, 1957) p. 38. 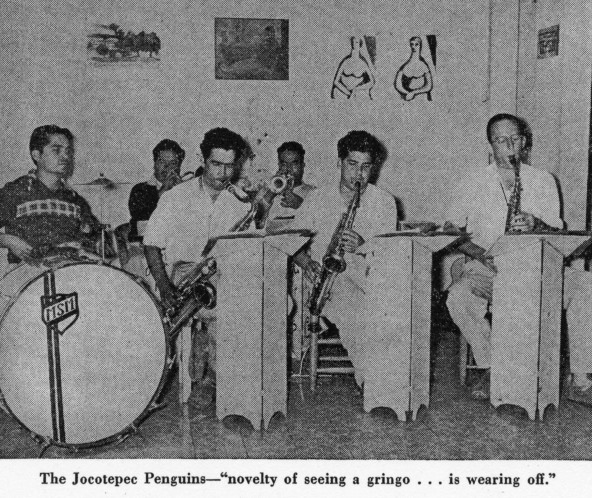 This short article, with photo, describes a dance-band in Jocotepec. Kemp was the first saxophone. 1957. “Perils of Paradise.” Travel piece in House and Garden vol. 111 (April 1957) pp 172-4, 177. Kemp also translated Juan the Chamula: An Ethnological Recreation of the Life of a Mexican Indian by Ricardo Pozas (University of California Press); Selected Poems of Ruben Dario (University of Texas Press); The Time of the Hero, by Llosa Mario Vargas (Farrar Straus & Giroux); Pedro Paramo: A Novel of Mexico, by Juan Rulfo. (Grove/Atlantic, 1959). In his career, Kemp published several poems and articles not directly related to Mexico. These include the poems “The Last Rose of Summer : Cape Cod” (The New Yorker, 1954), “Are We Then So Serious?” (New Mexico Quarterly, 1954-1955), and “Cat” (The New Yorker, 1958), and a short piece entitled “Krispie News” (The New Yorker, 1955). 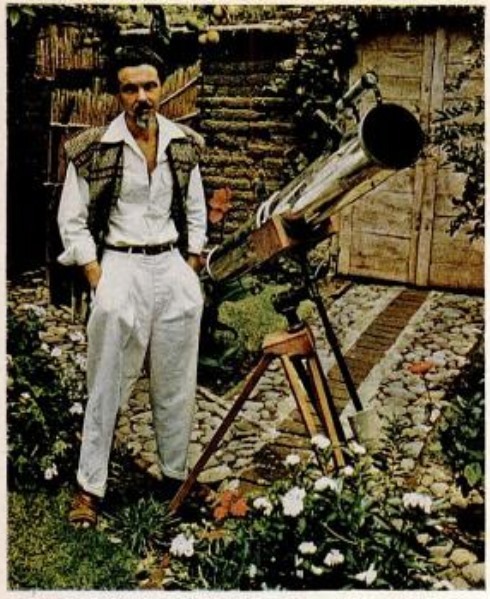 He also wrote four science fiction stories: “The Airborne Baserunner” (1954), “Boil One Cat” (1954), “The Universal Solvent” (1955) and “Silent Night” (1955).